There is nothing like an ice pop on a hot day. 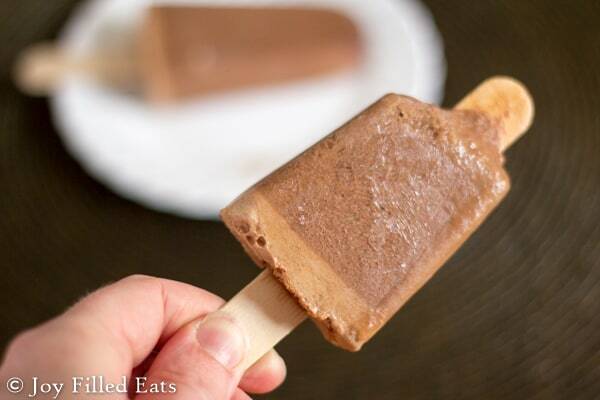 Fudgesicles have always been one of my favorites. They are more refreshing than ice cream but more satisfying that a regular ice pop. They are the perfect combination of the two. 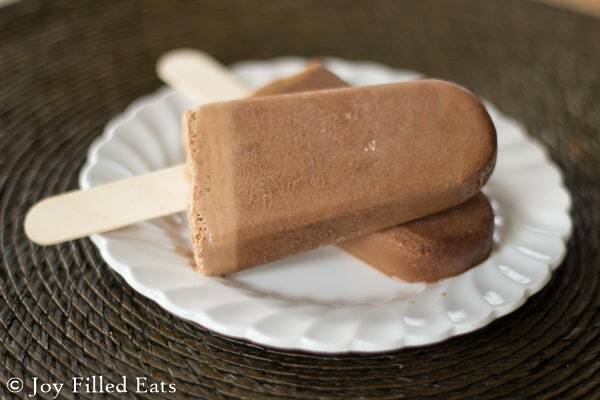 These Mocha Fudgesicles take that to the next level. 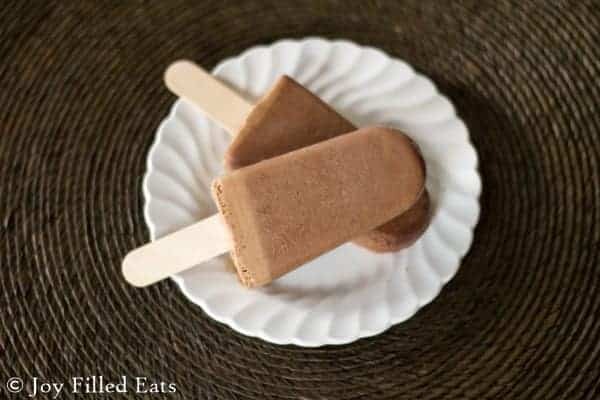 A hint of coffee mixed with chocolate and a texture that stays biteable even after a week in the freezer. Perfection. 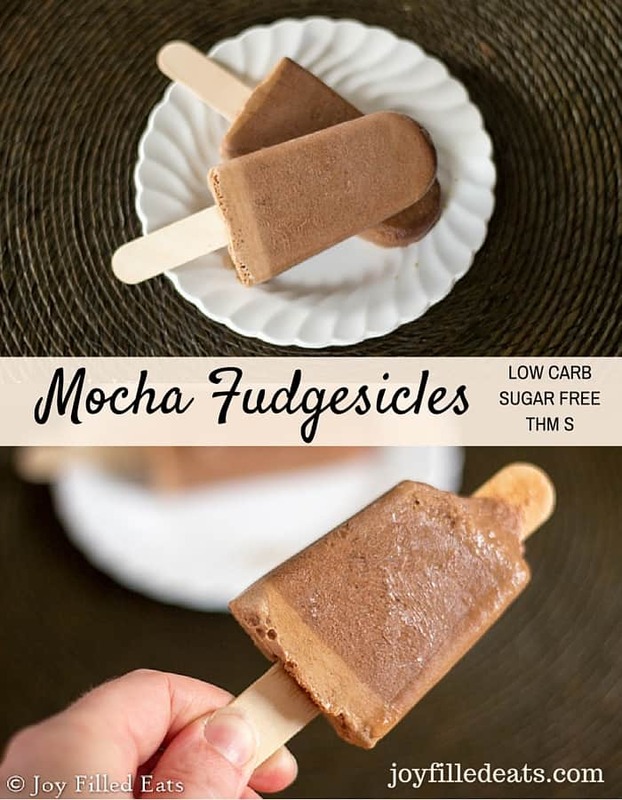 These are a bit icier than the store bought fudgesicles but I enjoyed the iciness. I remember having ice milk as a child (instead of ice cream) and I loved the icy bits. Makes 4-8 ice pops depending on the size of your molds. This is also amazing blended with ice like a frappuccino. So if you have any leftover mix just throw some ice into the blender and then drink it. 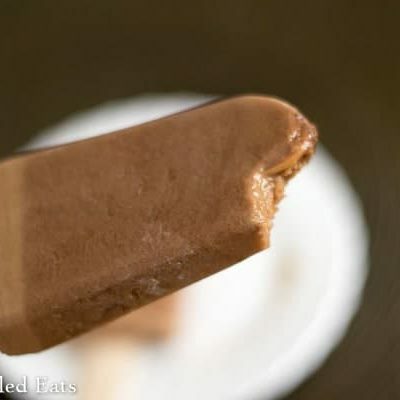 Or if you are just too impatient for the ice pops to freeze. I like to go halvies and do both. Scroll down slowly for a printable version of this recipe. Directions: Blend ingredients in a blender. Freeze in ice pop molds. Blend ingredients in a blender. Freeze in ice pop molds. Sure! If you aren't counting carbs you could use part half and half too. I know heavy cream can get expensive. Yum these look so so good! 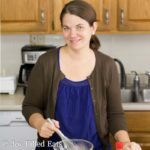 If I wanted to make them more creamy could I use more heavy cream and less of the almond milk?